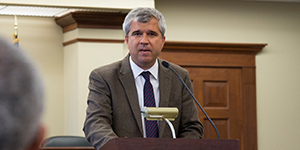 View recordings of past lectures and panel at the LSU Law Center. All LSU Law videos are hosted on the Panopto video platform. 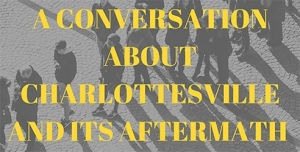 A panel discussion with LSU Law Professors Christopher Tyson, John Devlin, and Ray Diamond; Dr. Foster Gaines, LSU Department of History; Dr. Dereck Rovaris, LSU VP and Chief Diversity Officer; moderated by LSU Law Professor Christine Corcos. 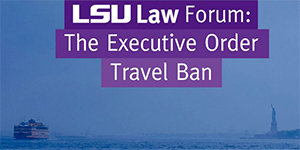 Discussion of the recent Executive Order travel ban, addressing questions of what this Executive Order did and how the Order works in the context of immigration law, First Amendment and Equal Protection issues, the impact the Order has on government function, as well as the implications for the LSU community. Santiago Legarre from the Universidad Católica Argentina discusses natural law and its complex working relationship with constitutional law. 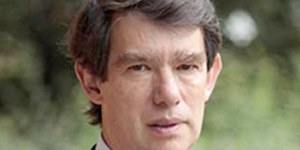 Professor Francisco Reyes is the Chairman of the United Nations Commission for International Trade Law (UNCITRAL) for the period 2015-2016. He has also been the Colombian Superintendent of Companies (and Bankruptcy) since October 2014. He is a member of the International Academy of Commercial and Consumer Law, the International Academy of Comparative Law, and the Colombian Academy of Jurisprudence. Professor Esin Örücü is also Professor Emeritus of Comparative Law, Erasmus University, Rotterdam, and visiting professor at the Okan University, Istanbul. 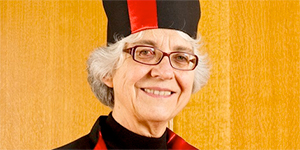 She holds an honorary doctorate from the University of Uppsala, is a titular member of the International Academy of Comparative Law, and a member of the advisory board of Juris Diversitas.